Thanks to the high technical level that marks the young talents of the national sailing team, the management of Team-Italy powered by Stig has selected some athletes who, despite their young age, have already raised significant international success, giving luster and prestige to the italian flag. Matteo arrives in the world of sailing at the age of eight years in the Optimist class. At fifteen he begins his career as bowman on the catamaran F18 and then, after three years, at the helm and starts collecting podiums at national level. In 2012 he reaches the third step of the podium at the Tornado Word Championship in Torbole. Filippo has been sailing since the age of ten. He sails on various types of boats, showing excellent technical qualities. From 2006 to 2008 he is a member of the National Youth Team Laser. In 2012 he take part at the RC44 circuit with AFX Capital Racing and wins the Italian title ORC Cruiser / Racer. Francesco sails for the first time when he was seven years old but he leaves after the first basic course. After three years he starts sailing again with a competitive activity in the optimist class and later on Laser 4.7, Radial and finally on the Standard class. His palmares includes several Youth World titles, Youth European titles and Italian titles. Martino starts sailing in the optimist class at the age of eight and this is the hull that excites and pushes him towards the Laser radial in whitch he wins an Italian Youth championship and a stage of the european circuit in the Laser 4,7 division. For a couple of years he attends the world of one-design and he is world champion Melges 32 with Samba Pa Ti sailing team. 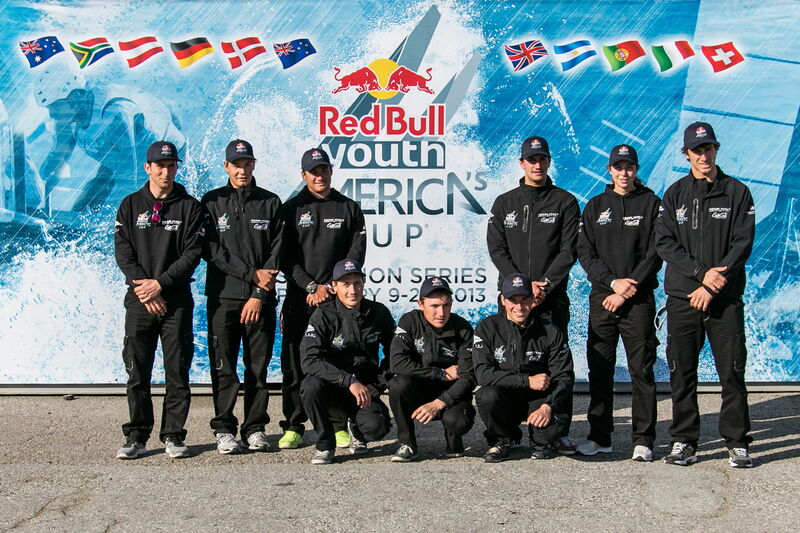 With this team, in the role of coach, he wins the world title in the class Melges 20 during 2014. Giovanni practices the sport of sailing, beginning from the Optimist class when he was five years old and he moves to the Laser class. It is this boat that allowes him to win five Italian youth titles, three european youth titles and two youth world championships titles. In 2011, with the transition from the Radial Standard category, Giovanni joins the olimpic Italian sailing team, with the aim of participating at the Olympics games in Rio 2016. Alessandro discovers the passion of sailing following one of the most italian famous offshore sailor Giovanni Soldini. He begins his journey with the optimist and then move him self to the Laser. In 2009 he enters the world of the offshore races in the bowman rule and begins to put together a series of satisfaction winning italian titles, european titles and world championship titles on board “Low Noise”. Jaš and Simon arrive at the world of sailing at the age of eight. Jaš debut in 2001 in the Italian national team at the International Optimist Regatta in Switzerland, winning the fourth. Result, among others, which allows him to be summoned by coach of the FIV to represent the Italian national team in the Optimist class. Here he knows Simon Sivitz Košuta and with him in 2005 passes to the 420 class becaming the bowman with important results. The transition to the 470 takes place in a short time and in 2009 Simon and Jas are invited to rapresent the national Olympic team for 2009-2012. 2012 for the two athlets begin in the best way in 470 class: with european championship and youth world championship victory. The long-term goal for the two young sailors is the participation at in the next olympic games in Rio de Janeiro in 2016. Laura knows the world of sailing at age of ten. After four years of competitive activity in the optimist class she passes at the Laser Radial class. Since 2008 she is part of the national Italian team. With the Laser Radial she wins three Italian titles and several podiums at national regattas. The long-term goal is to participate at the olympic games in Rio de Janeiro in 2016.